Browse any H&G magazine or simply walk into your local garden center and you will, no doubt, encounter an ever-expanding palette of new plant “selections”, “cultivars”, “hybrids” or whatever (I’ll explore these terms and they’re meaning in a later post). You see these in almost every species imaginable: a new series of Hydrangea, heat tolerant Dianthus, repeat blooming Azaleas, new colors of this, disease resistant that…. the list keeps going. Keep in mind that this is how I make my living so I’m not knocking new plants… believe me when I say that variety and choice in plant selection is certainly a good thing. Although, how can you be assured that this new Hydrangea or that new Dianthus is going to work in your climate?? The good news is that, these days, most breeding companies (like the one I represent) are making more of an effort to test new cultivars in various regions of the US. Sometimes trials are performed by cooperating nurseries or greenhouses, sometimes it’s botanical gardens or arboretums and many times these variety trials are performed by universities. In most cases these are informal trials that are never published or displayed but kept as internal data (especially if a plant sucked in the trials :)), in other cases, breeders will host elaborate open houses to show off their new wares; the California Spring Trials held each year is a perfect example. Each method has its pros and cons so I feel that the best way to get a clear picture of “what works and what doesn’t” is to employ a combination of all methods. Here at Ozbreed, we also like “real world” trials, so we will try out our new plants with landscape professionals like architects, designers and garden writers (who are often designers or architects themselves). 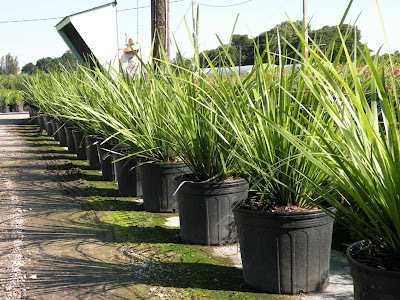 For 8 or 10 years we have been working to find drought tolerant plants that can not only take “dry and hot” but also “humid and wet”… that’s a key combination for professionals in the southeast where drought is a growing concern. Unfortunately, this is a combination that often eludes growers and landscape professionals. We’ve had both successes and failures with our search, but we are making progress. One such plant that is winning me over is a new selection (there’s that word again!) 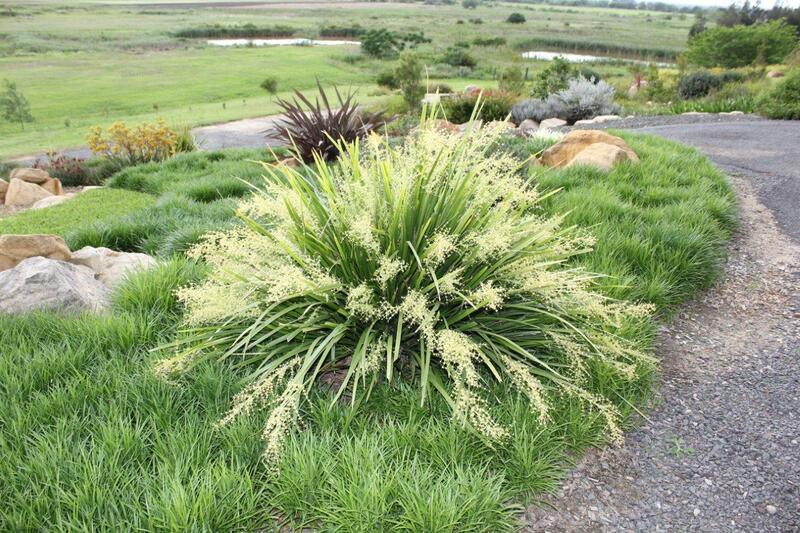 of Lomandra hystrix which we have trademarked as “Katie Belles”. 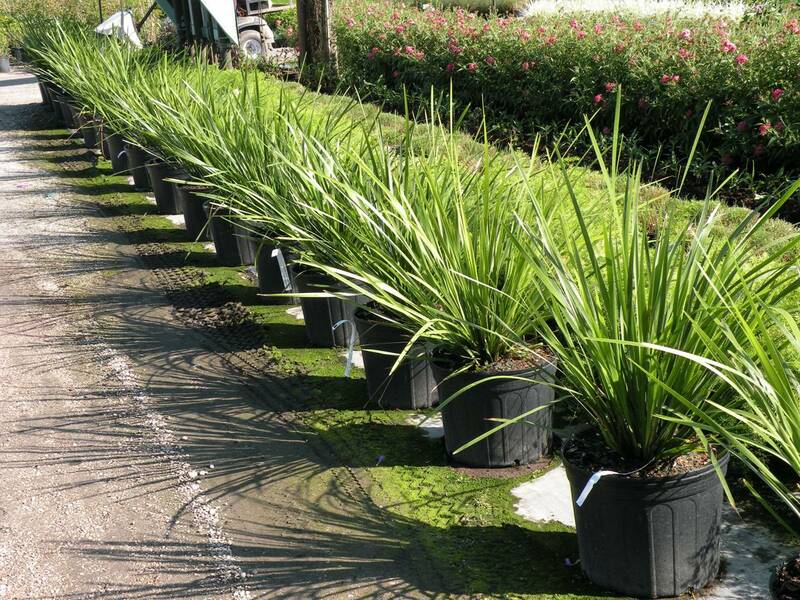 Katie Belles seems to be able to cope well with tropical conditions (such as high rain, temp and humidity) yet is also relatively drought tolerant which we think makes it a great choice for southern landscapes such as those of central and south Florida. Lomandra hystrix is found naturally occurring in flood plains and around bog areas of New South Wales so it’s very understandable that Katie Belles is more tolerant of humidity and wet feet… it’s in its DNA! The pictures below come from one of our suppliers, Karen Arrington with Bill Moore & Co. Karen took these pictures last week at Doug Ingram and Sons Nursery in Homestead, FL. The folks at Doug Ingram have been great about trying out many of our Australian natives! For more information on Katie Belles and other drought tolerant Aussie natives, check out our website at www.ozbreed.com.